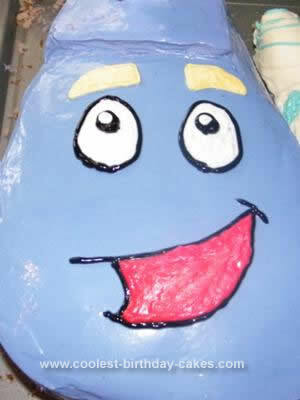 My daughter LOVES Dora the Explorer but I didn’t want to pay an arm and a leg for one from a grocery store bakery and I’m pretty inventive so this Homemade Dora’s Backpack Birthday Cake Design is what I came up with. I made 2 rectangle layers then cut them to shape after freezing them. for the backpack flap at the top, the map pocket and the star pocket on the side I made another really thin layer of rectangle cake to cut the shapes needed. The map was a little more of an improvisation. I used an empty paper towel roll. i rolled up paper and inserted it into the top and bottom of the paper towel roll. 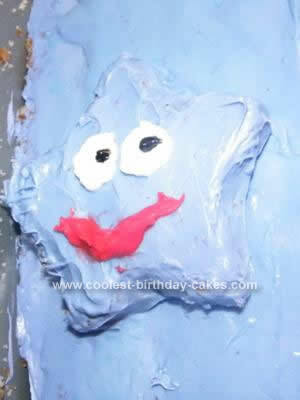 After piecing it all together I used frosting to cover it all. 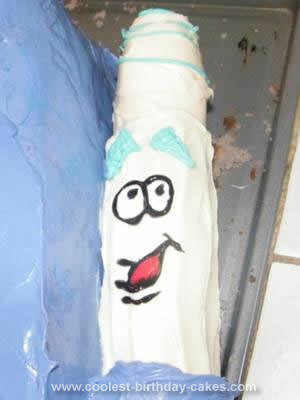 I used cake decorating bags for some and some tubes of frosting you can buy at the store for some as well. The cake looks shiny because I froze it after it was frosted then took it out and used a spatula that I kept running under hot water to smooth out the lines. 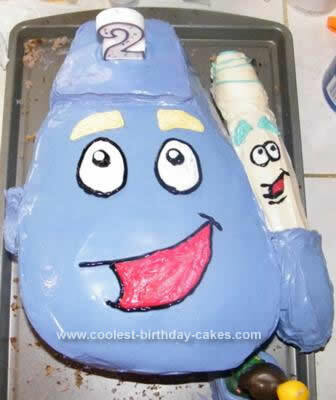 It looks cool but it did make the color of the frosting change the next day. Not sure but I’m thinking it’s because of the moisture on the spatula.